Breaking the glass ceiling, Flight Lieutenant Hina Jaiswal has scripted history by becoming the first woman flight engineer to be inducted into the Indian Air Force. Till last year, the Flight Engineer branch was exclusively the men's domain. On Friday, the Chandigarh-native covered herself with glory by successfully completing the six-month course at the 112 helicopter unit, Air Force Station, Yelahanka, a defence release said. A Flight Engineer is the member of an aircraft's flight crew who monitors and operates its complex aircraft systems requiring a specialised skill set, according to the release. She was commissioned on January 5, 2015, in the engineering branch of the IAF and had served as the chief of firing team and battery commander in a frontline surface to Air Missile squadron, before being selected for the Flight Engineers Course. During the gruelling training, she trained shoulder to shoulder with her male counterparts, and displayed unflinching commitment, dedication and perseverance, the release said. As a child, she had aspired to become a soldier and aviator. The only daughter of D K Jaiswal and Anita, Hina described her achievement as a "dream come true." "Finally, her dreams have manifested into reality after successfully graduating from the alma mater of Heli-lift," the release said. "As a Flight Engineer, she would subsequently be posted to operational helicopter units of the IAF. 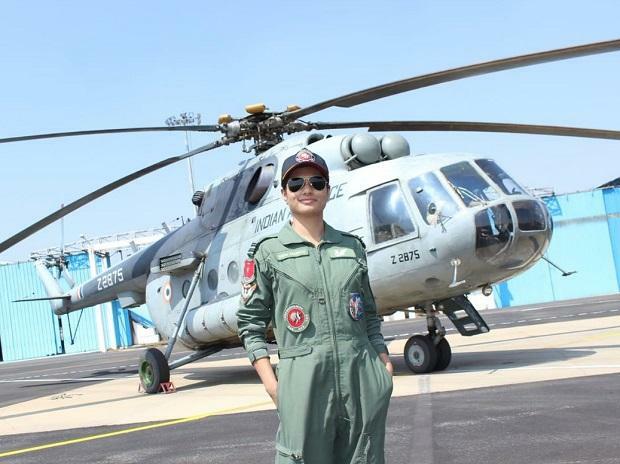 Hina Jaiswal would be routinely called upon to operate in demanding and stressful conditions, right from the icy heights of the Siachen Glacier to the seas of the Andamans," it said. Over the past few decades, the Indian defence forces have taken several strides to become more gender inclusive. The Indian Air Force, since 1993, has commissioned women in the officers' cadre and successfully inducted them as pilots also.